Insurance Call Centers - Insurance Customer Experience | 8x8, Inc.
What Are the Needs of an Insurance Call Center? Insurance call centers enable insurance companies to communicate. Depending on the particular call center, there could be a wide variety of different types of communications—various channels, audiences, needs and technologies used. One contact center can handle all the communications or a company can have several call centers for different purposes. To start a call center, your company will need the right technology, services and people. What is an insurance call center? Insurance call centers have a team of representatives connected by a single call center platform who are available to respond to incoming calls or who are responsible for making outgoing calls to conduct business operations for the organization. Both inbound and outbound calls can be handled by your insurance call center. You can also have the call center send and receive SMS text messages, chat and social media communications. Making a variety of channels of communication available enables your prospects and customers to have many different choices and options for reaching you. With the right hardware and software, your insurance call center can provide strong service to your customers and help your company reach the right goals. How do call centers work? Companies with higher call volumes need an organized team to manage communications. Call centers allow insurance companies to have a high volume of calls come in or go out--bringing the right calls to the right people every time. Call centers are great for agent productivity because they enable insurance companies to manage their team's workflow and ensure everyone has access to the right information and that each call has the best placement within the call queue. Using software, call center management can track, monitor, and make the best decisions based on accurate key performance indicators (KPIs) about each department, team, and individual agent. What equipment do insurance call centers use? Call centers rely on the right technology to stay productive and organized. Of course, the equipment your insurance call center needs may depend on the type of insurance your business offers, the call center's purpose, and the number of callers or prospects your insurance call center usually interacts with. 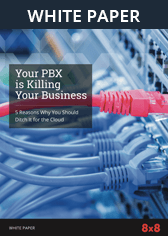 A PBX: Your Private Branch Exchange can be a physical device or a cloud-based system operating on a computer. It serves as a switchboard to route calls into queues. ACD (Automatic Call Distributor): Part of and related to the PBX, your ACD follows instructions and makes decisions to route calls. For instance, it can send complex calls to the most experienced agents in the queue. An Internet connection: You'll need an Internet connection with enough bandwidth to successfully handle your contact center's communications needs. SIP (Session Initiation Protocol) Trunking: SIP trunking connects your call center's internal phone system to the public phone network. It's a service provided by VoIP vendors. Phones: You will need some type of phone for each agent. You can generally mix and match different phone types into the same network. Headsets, handsets, headphones, microphones, computers, smartphones, softphones or other technology may be necessary depending on the specific configuration you choose and the needs you have. Predictive Dialers: A predictive dialer feeds your phone network with a steady stream of outgoing calls so your agents don't need to spend their time manually dialing phone numbers. Depending on how you plan and configure your network, you may need other equipment as well. Every call center, industry and business may handle this differently. Your insurance call center can help your company reach more customers more efficiently than ever before. Insurance call centers can handle a variety of different forms of insurance communication. Inbound and outbound forms of contact, calls, SMS text, chat, and other communications both internally among employees and externally with the public can occur in the same call center or in different call centers. With the right combination of hardware and software, your call center can address customer needs. Customer service, marketing, and other communication purposes are valuable ways you can put your insurance call center to use. Your vendor can help you choose the right technological solutions for your company.